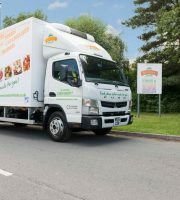 We’re proud to provide an enormous range of high quality ingredients to companies up and down the country. We offer full supply chain mapping and our state-of-the-art ‘Track It’ system ensures full traceability and recipe management from the grower to you, the customer. We run a stringent regime of supplier approval. 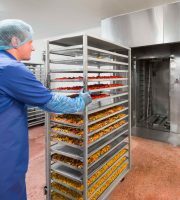 As a minimum, our fresh produce suppliers hold Global G.A.P accreditations, and our dry/ambient ingredient suppliers are BRC approved. We know the importance of seasonality and provenance in the world of fruit and veg. Our availability can include Welsh Leeks, potatoes from Lincolnshire, Kentish Bramley apples, Hereford asparagus, Cornish carrots and much, much more. Even when it is necessary for our produce to travel from outside the country, we use carefully selected sources. For example, our well known garlic comes from dedicated garlic cultivators in Spain, who harvest in May and June.